It has been nearly a year since I decided to begin blogging. Shortly thereafter I began posting free items on Teacher's Pay Teachers. It has been an adventure and big learning experience for me. I have made so many wonderful friends along the way... teachers that I never would have 'met' any other way. I have learned a lot from this experience and it truly has made me a better teacher for my students. I have two things I am especially proud of. First is a childhood dream that is now a reality. When I was little I LOVED to draw. I actually initially went to college to become an art teacher. I realized after two years that this might not be the right path for me....although I still loved to draw.... and switched majors to early childhood education. Twenty plus years later this childhood love has become a reality for me as I create and sell my clip art, which I call 'Oodles of Doodles'. How do I make the clip art you might ask? I began many months ago just drawing in ink and scanning the images into my computer. I then digitally colored the images using an art program. This was fun and exciting for me. I got great advice and support from my friend and artist Michelle from The 3AM Teacher. She is an amazing artist and wonderfully kind friend. She was and has always been a great cheerleader for me! It was such a thrill when people complimented my little doodles and wanted to use them in their teacher products. I continued along this learning process and watched every tutorial online that I could (and there are a lot!!). I took the next step a few months ago and purchased a Wacom board. I can best describe this as a board about the size of a mouse pad that you draw on with a special pen. Silly me thought this would be so easy.... I mean I already knew how to draw right? Oh my goodness..... I was SO wrong. I spent about a month just playing with it, trying to master drawing digitally. There are a variety of different boards available in different price ranges. If you are a beginner and interested in just trying it you can pick one up for less that $100. I bought mine at Best Buy. The board plugs into your computer via a USB plug. Through trial and error I figured it out...although early on I really wanted to give up and go back to paper, ha! I watched MORE tutorials and figured out how to add different effects. And now, I am selling my doodles pretty frequently. I LOVE opening Pinterest or TPT and seeing a fun teaching activity with MY artwork on it! It is still a slow process for me. Each little doodle might take me an hour or more to create, but I am enjoying the journey.!! So I will leave you with a little freebie I created with my clip art. It is a roll and cover. You can find it by following the link below the picture. There are a few other freebies in the same google file. If you take a copy I would love for you to leave a comment!! Thanks for following me and sharing this blogging journey with me. I feel very blessed for the people I have met the past year! Thanks for sharing. I have some of your clipart in my cart right now. There is a certain *quality about your snowmen that just makes me smile. Thanks Jenn...you're so sweet!! I am having a lot of fun making the clip art!! Thank you for sharing. I love your clip art! Thanks for sharing! I love the clip art. I think your snow girl is the cute. She reminds me of marshmallows.. I love your homework packets. Can you tell me a little more about them? What do you expect, etc. . . ? Each monthly packet is divided into 4 weeks of homework. Although you could send it home as a monthly packet I send mine home weekly and have the children return it. I create activities that align with the common core standards. Each week there are activities for both math and language arts. They are activities that should take about 10-20 minutes and are very 'kid friendly'. The parents of my students love them and I have very positive feedback from other teachers using it with their students. I try to include 2 activities per page to save on printing costs. They take me an embarrassing long amount of time for me to make, but I feel they are well worth the effort. The January packet includes many of the skills they will be assessed on this quarter for their report cards. Congrats! I just love your artwork! And thank you for the freebie! Thanks for the great freebie! I love the clip art! Your stuff is super cute!! Love the roll and cover, I will be playing it later today with my kindergartner daughter!! I see I loaded the wrong roll and cover... two number 8's....lol. I updated it with the correct file if you want ALL the numbers...so much for my multi-tasking abilities. ha!! I did giggle a little when you mentioned the difficulty of learning to draw digitally..hehe... I can totally relate! I now draw digitally like nothing, but it was quite a process to learn to draw on a tablet with your eyes on a screen..yikes. And I have the Extra Large Wacom.. and I had a hard time..I can't imagine what frustrations you might run into with such a small drawing area.. It does get easier... I find myself now trying to "undo" the last move while I am sketching on paper...HAHAHAHA!! I have become so accustomed to digital art, that I now prefer it. Michelle....you completely inspired me to draw again and I am so very thankful!!!! You are so talented! I can barely manage to use my computer some days, much less draw on something connected to it! Thank you for sharing! Love your roll and cover! I will use this next week as a center activity. Thanks for sharing how you create your clipart and glad to hear you are now getting to live both dreams....teaching and drawing! Hi Traci I see I loaded the wrong file....missing a #3...silly me. I fixed it when I made it then put up the wrong one. Please download it again. You are SO right, I am totally doing everything I love!! I feel very lucky!! Loving your creations. Not sure if you noticed that there are two number 8s and no 3 on the Roll and Cover. Thank so much for catching that Gina! I corrected it when I made it and then loaded the wrong file...I switched the files. Thanks so much!! Thanks for sharing this cute freebie. I just started following you on Facebook, too! I love your work! It is worth every penny to me. You are a very talented teacher. Your homework packets help me know what to reteach. Bless you for sharing your talents. Thanks for the FREEBIE! I love your work. This will be great in my classroom math tubs this week. I think your snowmen are absolutely adorable! 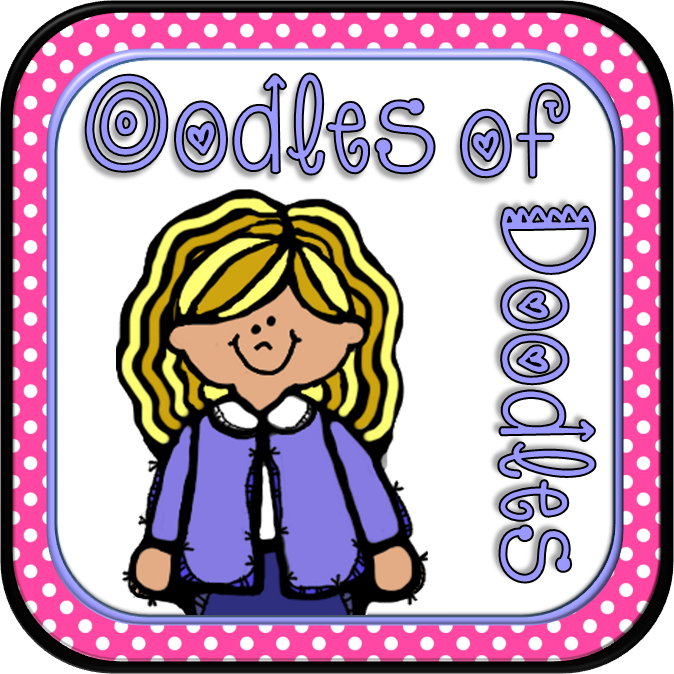 You have a gift for creating fabulous "doodles"! Love the homework packet! It sure looks great! Thanks for sharing your ideas with us! So cute! Thanks for sharing your ideas! I'm sure my kids will enjoy using these! This is my first visit to your blog and I love it. I just found your snowman game on Pinterest and plan on featuring tonight on my Friday Find. I can not wait to look at more of your clip art. I love the snowman they are so cute. Thank you so much!! I just visited your blog....love the Eric Carle theme! Thank you so much for sharing your homework packets! They are truly a big help to me! I anxiously wait each month for the next packet! Super cute! What art program do you use to color the images? I've been playing around with a few myself over the last few months. Super De Duper Cute! What art Program do you use to color these?! I just purchased a Wacom board! I'm so excited about it. What art program do you use? Thanks! I am so glad I found this post. I have been trying to figure out how to make my passion of drawing into the clip art and stationary world. It is hard! I have my Wacom. It is so nice to hear that it is a learning process that takes time!